Engadget and the Wall Street Journal report that Spotify’s supposedly testing offering certain tracks only to paying subscribers, and for a limited time. 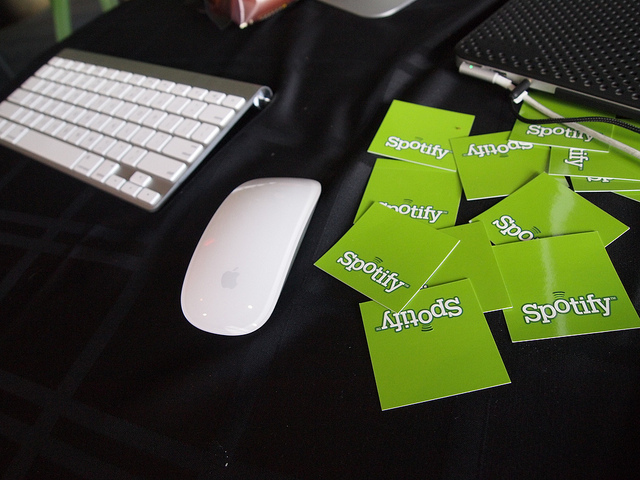 While it’s a reversal of previous Spotify policy, it might have benefits for certain artists who dislike the current Spotify setup of offering everything for both free and paying users, though with lower royalties for the users. However, Engadget notes this seems to have more enthusiasm from the record labels themselves, who’d gain more control over how users listen to music. The use of “pre-Napster era” in that Engadget article to describe such control doesn’t sound encouraging for customers, as things have greatly improved since the turn of the millennium. Of course, there’s always YouTube for listening to Taylor Swift and Adele’s music, or just buying their albums outright.